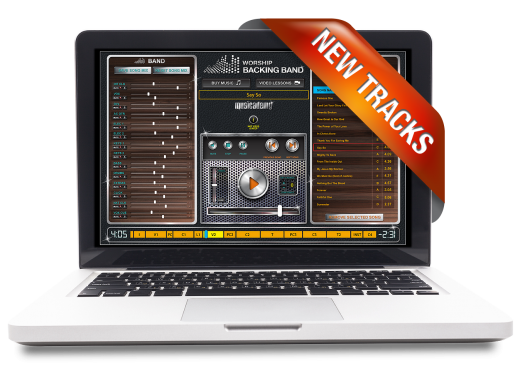 We released five new MultiTrack backing tracks today for use either in the Worship Backing Band MultiTrack Player or any DAW. We even include an Ableton session file for Ableton users. The links below will take you to where you can buy the MultiTrack, Split Track, Chord Chart and also listen to the 30 second audio preview. With all new releases we now create a complementary EveryKey Chord Chart (and have these for much of the back catalogue too). These are available for a small fee (we have to charge due to publisher’s licensing restrictions). EveryKey chord charts give you the song in 12 keys plus a Nashville chart. On a single page the charts follow the backing track structure over easy-to-read four bar sections so you can follow along even if you don’t know the song. As well as lyrics, there is also a capo guide, strumming pattern, clearly labelled song sections and even a song arrangement structure.